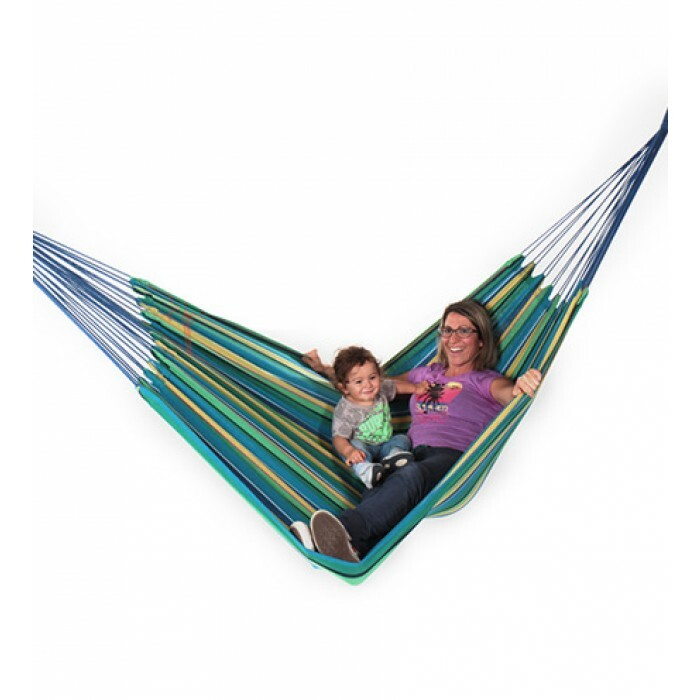 Spice up your environment with a colourful Rio Double Hammock available from Buy Hammocks Online. 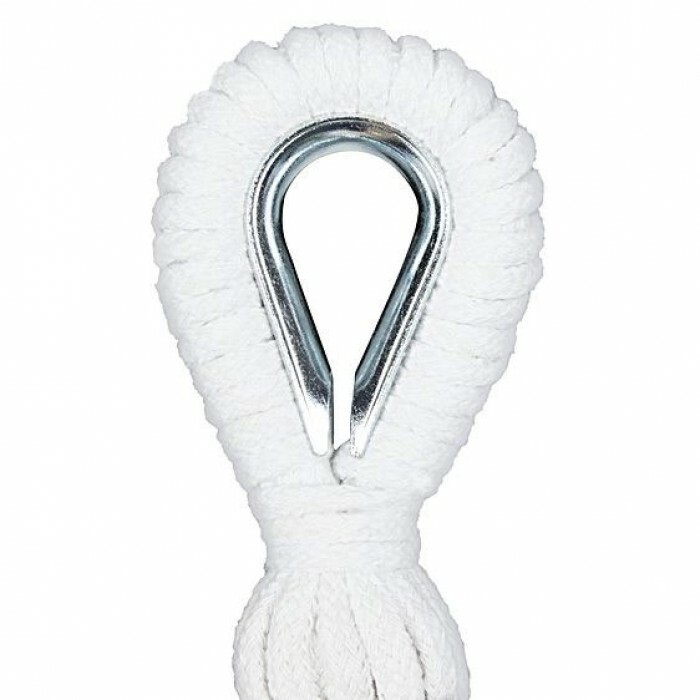 Delivering Australia wide. 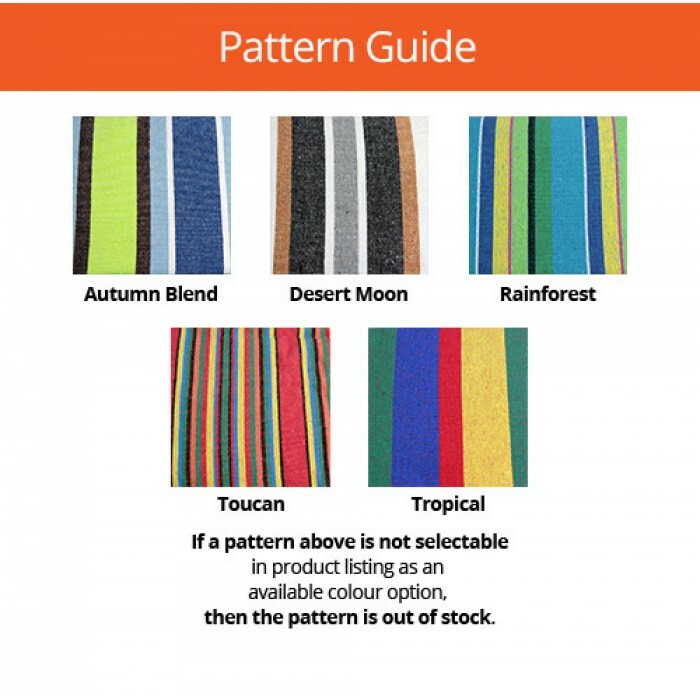 Are you ready to add some vivid colour into your life? 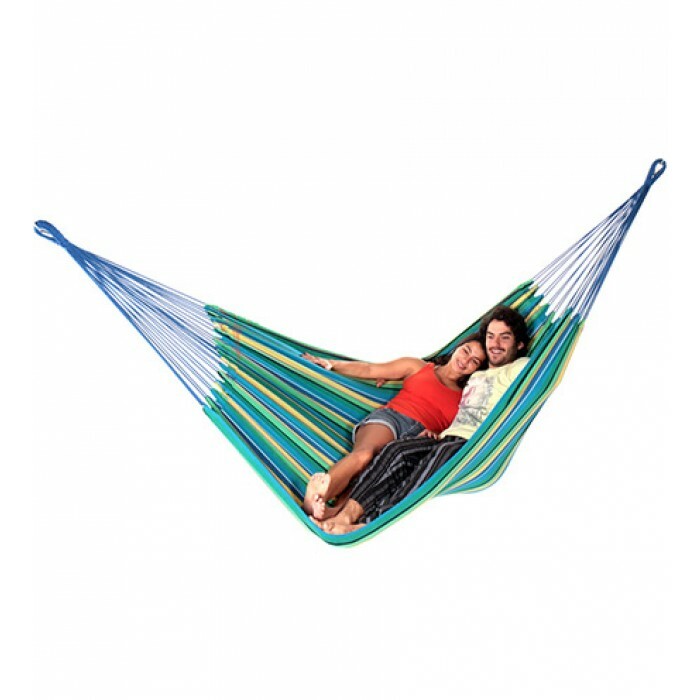 Say no more - the Rio Double Hammock is just what you need. 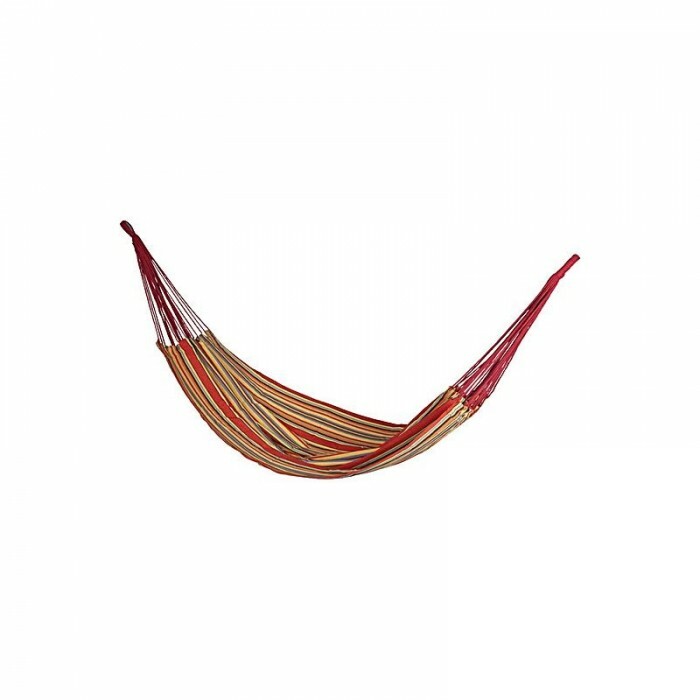 The Rio Double Hammock comes in a variety of colourful Brazilian style colour combinations to suit many environments. 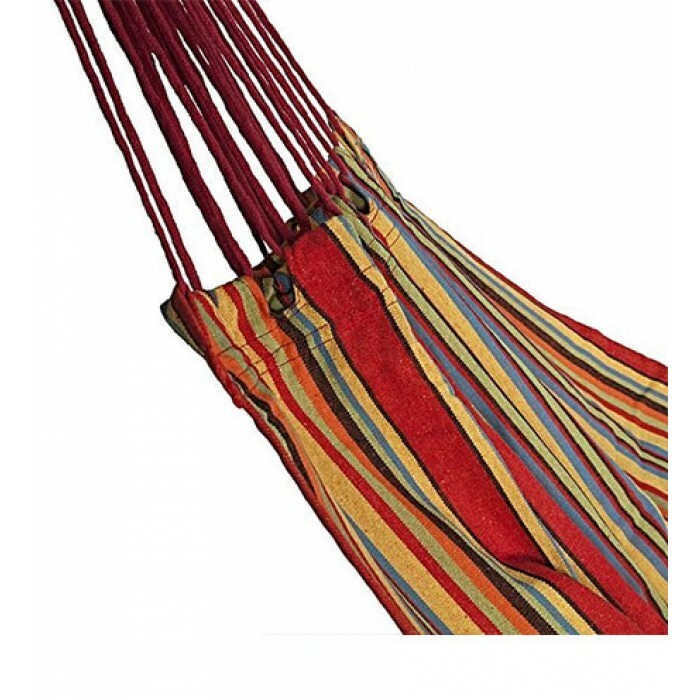 Not only is it handmade from durable 100% colour-fast cotton, it is one of the most comfortable hammocks we have in our online range. 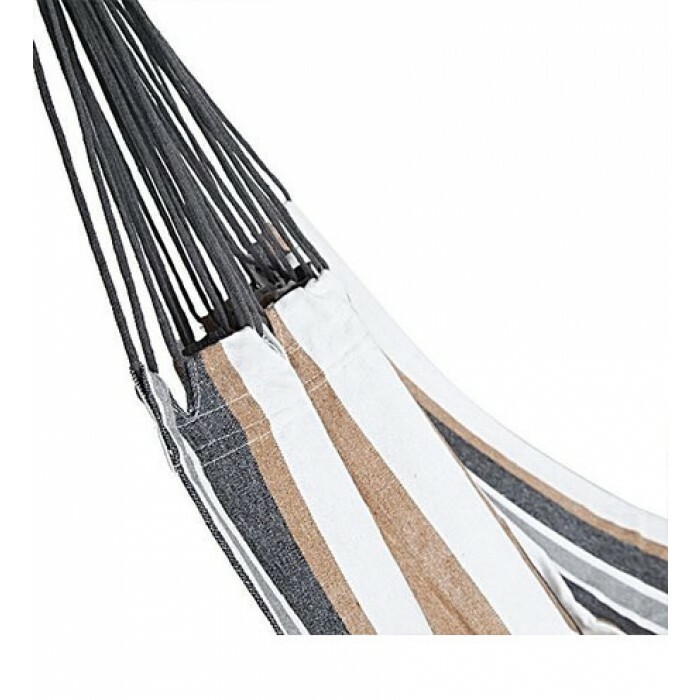 Perfect for one or two people, with a max capacity of 200kg. 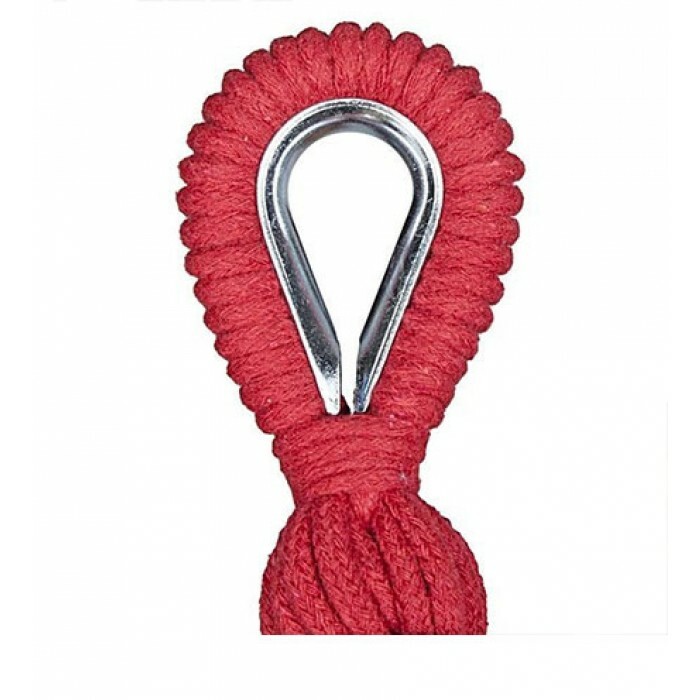 Simple installation with instructions included. 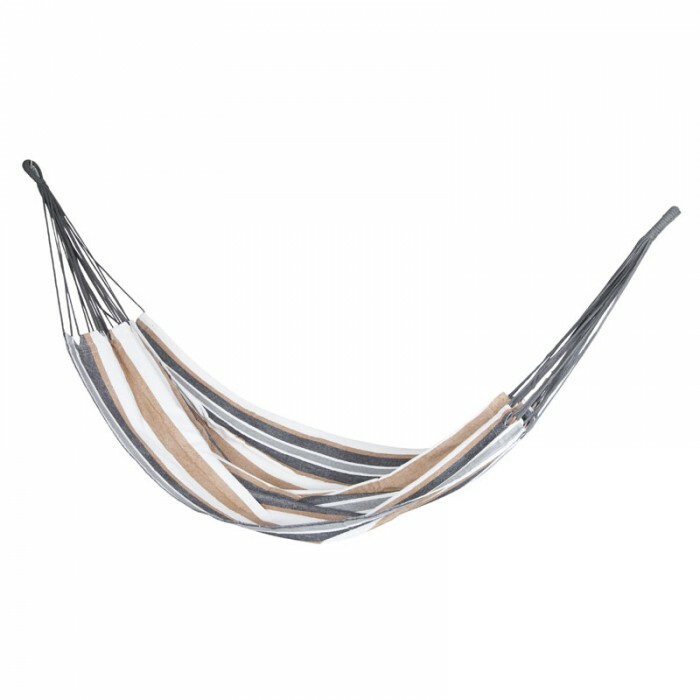 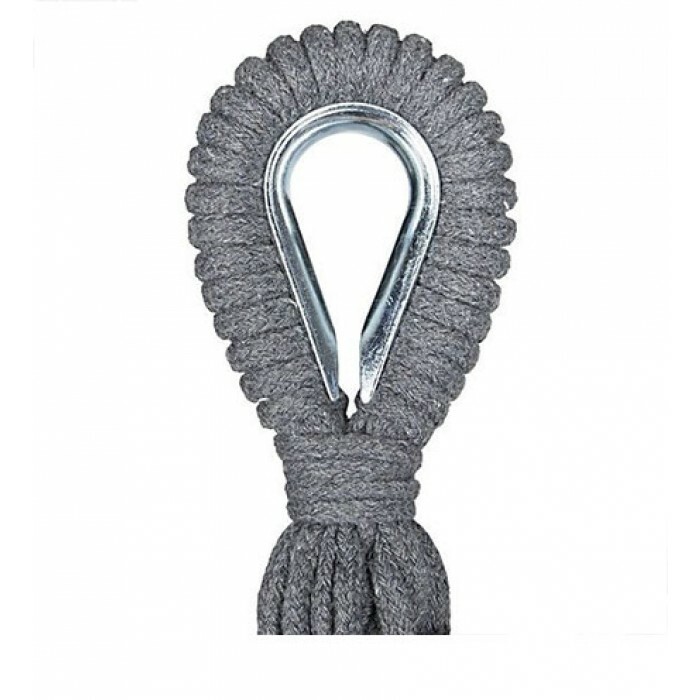 All that is required from your end is something to hang it on, such as a sturdy tree branch, pergola beam, or alternatively you can use it with one of our Hammock Stands and Frames for the added convenience of moving it around. 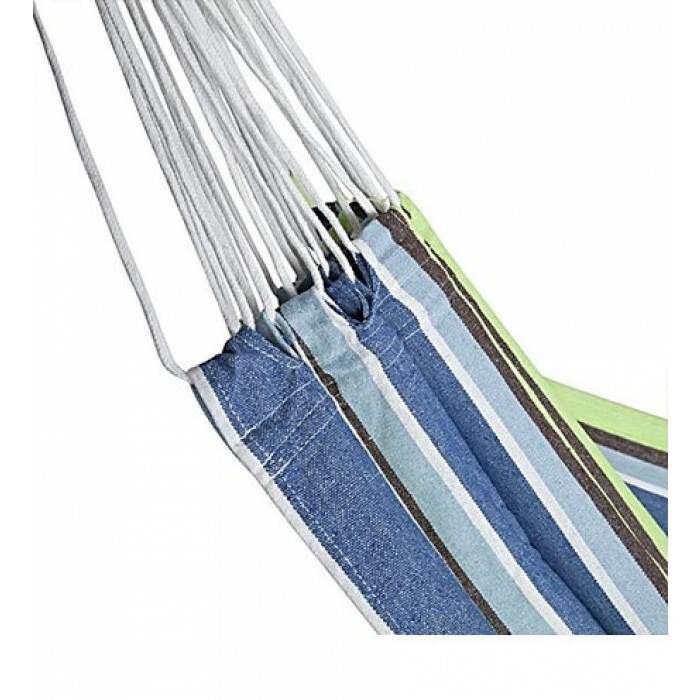 Be the envy of others at festivals, the beach and on camping trips with friends, or simply hang in your garden to enjoy the nature around you. 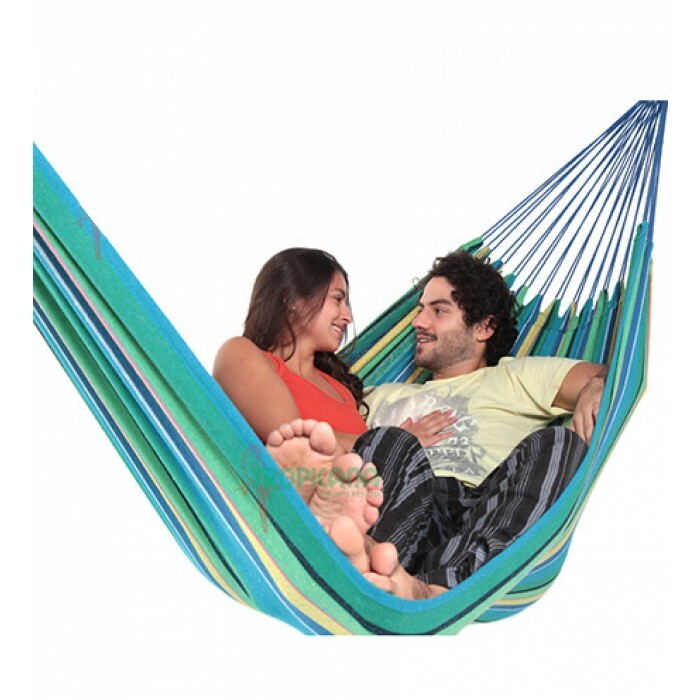 Perfect for yourself or as a gift for loved ones, purchase the Rio Double Hammock today! 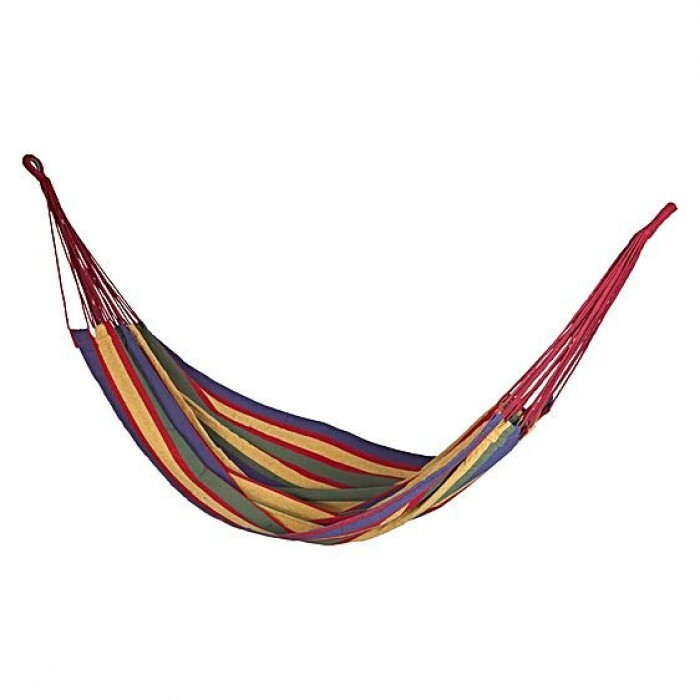 Lived in Asia for some years and have had to put up with some hammocks that were little more than a g string...oh the joy of a solid. 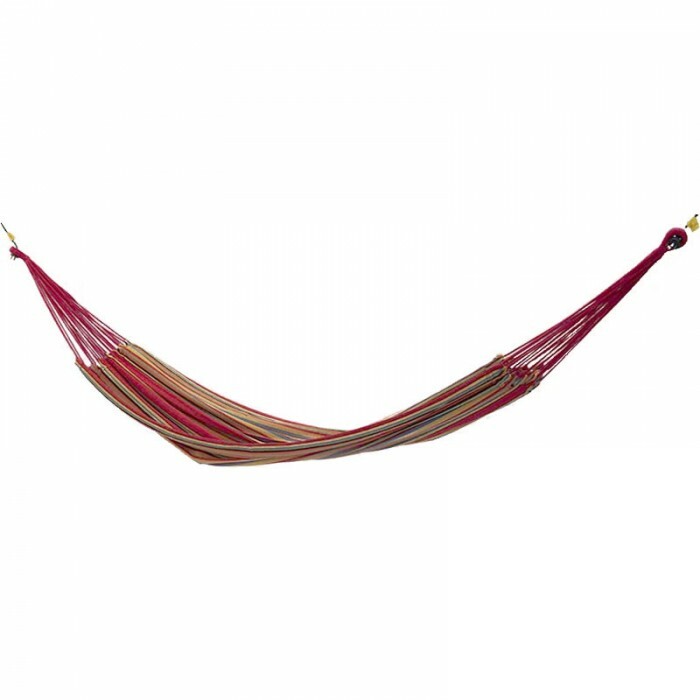 roomy, comfortable Rio... robust cotton, bright colours exactly what I expected to get from the description presented. 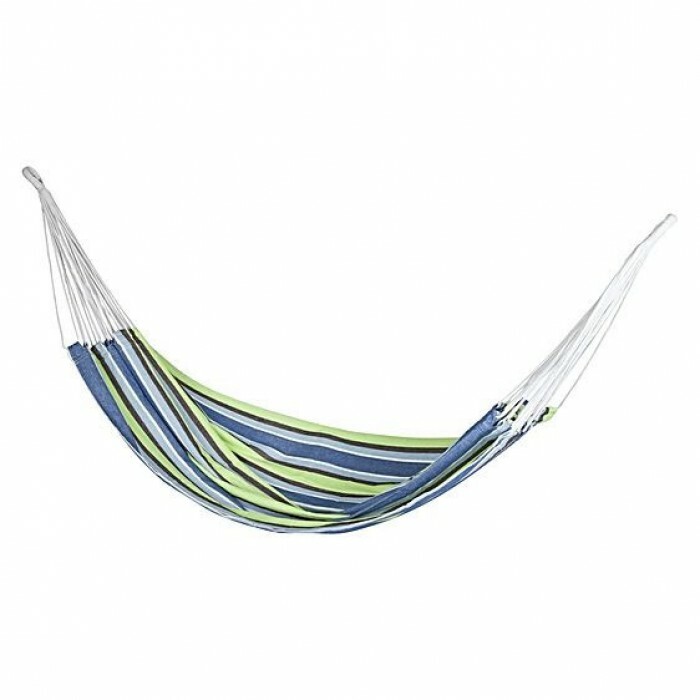 Would not go back to Mexican type string hammocks after experiencing the Rio. 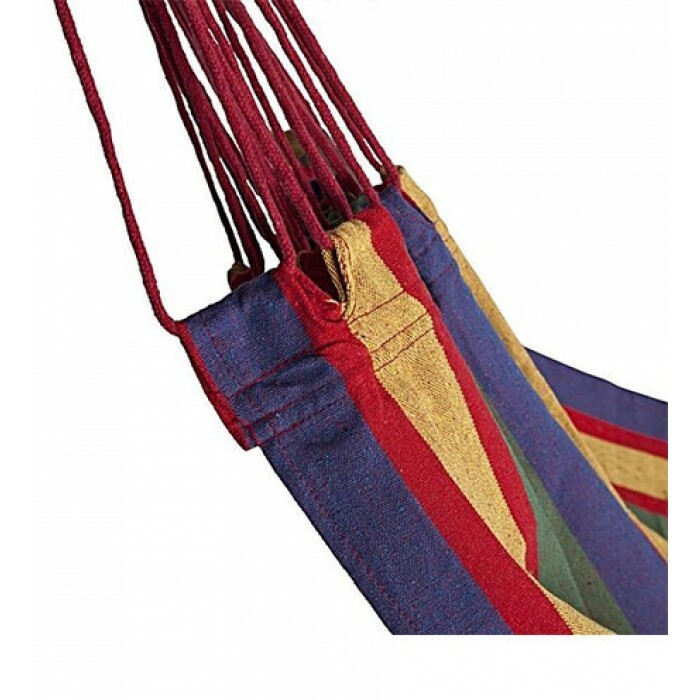 Love it and swinging contentedly!